Robert Burns is known around the world as Scotland's national poet; a symbol of Scotland and its culture. Born on January 25th, 1759 in Alloway, in the region of Ayrshire, he came into the world in a small cottage of a farming family with six other siblings. When Robert was 7 years old, the family moved to another farm in Ayrshire called Mount Oliphant. Burns received a minimal education and at age 15, he left school and began working alongside his father William in the fields. When conditions faltered at Mount Oliphant, the family moved to Tarbolton. In 1784, William died and the family struggled under the financial burden of tenant farming. This hard life shaped Burns’ personality and perspectives on life. While working in Irvin, Burns met a sea captain named Richard Brown who Burns remembered; ‘he encouraged me to endeavor at the character of a poet.’ Burns then began recording local songs, stories, and composing original work. By 1785, Burns was under dire financial burdens. Practically every farm he labored returned meager profits, perpetuating this cycle of poverty. A friend offered him a bookkeeping job in the West Indies, but couldn’t even afford the boat journey. By then, another friend, Gavin Hamilton, persuaded him to publish his poetry. 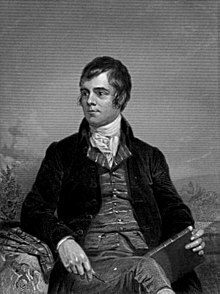 In 1786, Burns’ first publication ‘Poems, Chiefly in the Scottish Dialect’ immediately became a best-seller. This Kilmarnock volume was the foundation of all his literary skills. The next stage for any budding writer was establishing oneself in the Edinburgh social scene, which Burns did in 1786, where he promoted his well received Kilmarnock work. He stayed in Edinburgh for two years, forging important friendships and expanding his literary repertoire. Burns returned to farming in 1788, moving to Dumfries and found additional work as an exciseman, collecting taxes on duties as a fallback to keep him and family fed. He wrote songs for the Scottish Airs for the Voice by George Thomson and Scots Musical Museum with James Johnson. He collected melodies and airs, composing original arrangements that utilized old folk songs and traditional music. When examining Burns’ achievements, one would think he escaped his poor beginnings, accomplishing a great deal of wealth and valuable connections. However, farm labor, travel, and a chronic heart condition since childhood took a strenuous physical toll. His liberal political views, along with supporting the French Revolution, alienated many of his Edinburgh friends. Burns joined the Royal Dumfries Volunteers in an effort to assuage suspicions about his revolutionary sympathies. However, the light of Burns’ life had extinguished; he died on July 21st, 1796. He left behind a large family, friends, but more importantly, an incredible cultural legacy. Burns authored hundred of songs and poems in his short life, many of which he collected from his travels. He wrote much of his poetry in both Scots and the Scottish English dialects. Themes on nature, love, man’s relationship with the natural world, human struggle, class inequality, republicanism, religion, and nationalism were common in his works; he championed the basic rights of man and was leery of the moral codes of the privileged few. The public loved and loathed his poetry; some believed his radical political views won him few friends, while others rejoiced his voice for the downtrodden, common man at a revolutionary time in history. The passion, brazen language, and ideal devotion inculcated in every poem labeled Burns an inspiration to the group of emerging Romantic era writers, like William Wordsworth, Percy Shelley, and Sir Walter Scott. 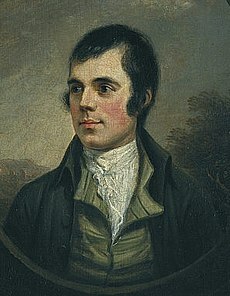 Burns' most notable works include Auld Lang Syne, To A Mouse, A Man's A Man for A'That, Ae Fond Kiss, Tam O'Shanter, A Red, Red Rose, and Scots Wha Hae. 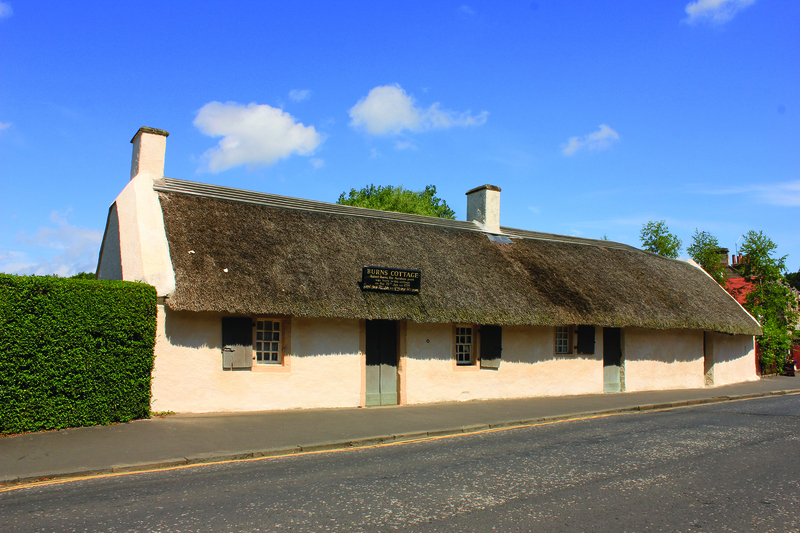 If you'd like to learn more about Burns and his writing, visit the Burns Museum website here to go inside the life of one of Scotland's most famous sons. Scottish societies and clubs around the world hold an annual Burns Dinner to honor the life and works of Robert Burns. These events are a cornerstone of Scottish heritage and you can join us in January in celebrating Burns' memory. Be sure to visit our Events tab and reserve your seats later this year!